A roadside bomb tore through a NATO vehicle on Wednesday, killing six Canadian soldiers and their Afghan interpreter in a southern Afghan region that has recently seen heavy fighting, officials said. The deadly blast happened in Kandahar province's Zhari district, Afghan police said. Brig. Gen. Tim Grant, the head of Canadian forces in Afghanistan, said that soldiers were Canadian. The attack was the deadliest against foreign troops in Afghanistan since May 13, when seven troops were killed  five Americans, a Canadian and a Briton  when the Chinook helicopter they were riding in crashed in Helmand province. Officials at the time said it appeared a rocket-propelled grenade might have brought the aircraft down. Afghan and NATO forces clashed with Taliban militants in Zhari earlier this week, leaving 33 suspected insurgents dead on Tuesday, according to the provincial governor. Seven Afghan police died in a roadside bomb explosion in Zhari on Monday. 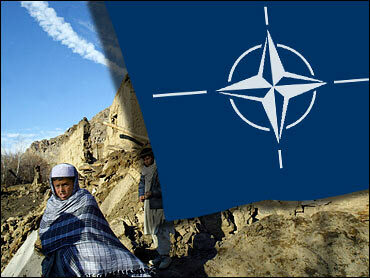 The region was the site of one of NATO's largest-ever operations last fall, and remains highly volatile. Southern Afghanistan has seen fierce fighting in the past several weeks. More than 2,900 people  mostly militants  have been killed in insurgency-related violence in Afghanistan this year, according to an Associated Press tally of numbers provided by Western and Afghan officials. Wednesday's attack brings to at least 102 the number of foreign soldiers killed in Afghanistan this year, including at least 46 Americans, 18 Britons and 22 Canadians. Also in the south, militants battled Afghan and U.S.-led coalition troops in three separate clashes, leaving 20 militants and one policemen dead, officials said Wednesday. Militants attacked at least three police checkpoints in Ghazni province Tuesday, and ensuing gunbattles left 13 militants and one officer dead, said. Gen. Ali Shah Ahmadzai, the provincial police chief. In Zabul province, Afghan and U.S.-led coalition forces clashed with suspected Taliban militants Tuesday in Shahjoy district, leaving seven militants dead and six others wounded, said Ali Kheil, a spokesman for the province's governor.